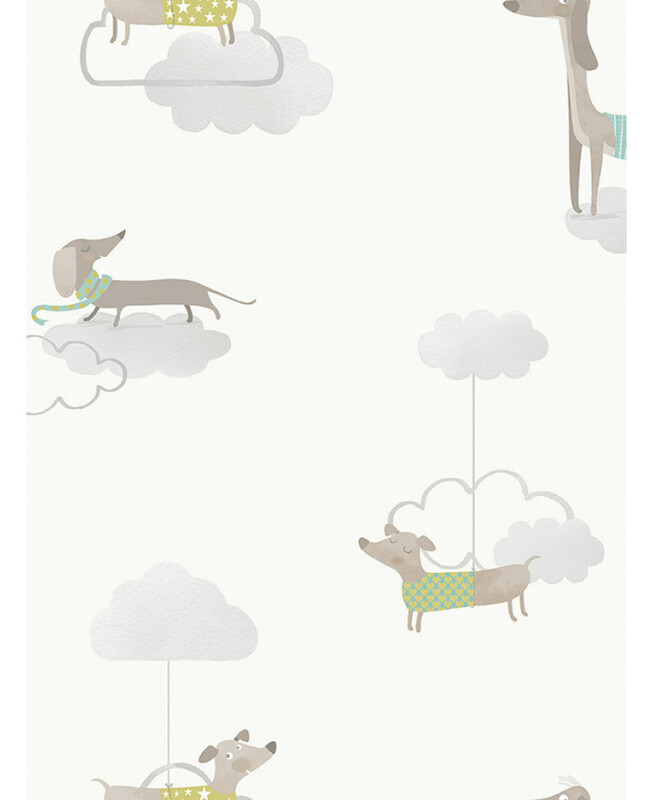 This Walkies Sausage Dog Wallpaper will add a touch of fun to your little one's bedroom or playroom. 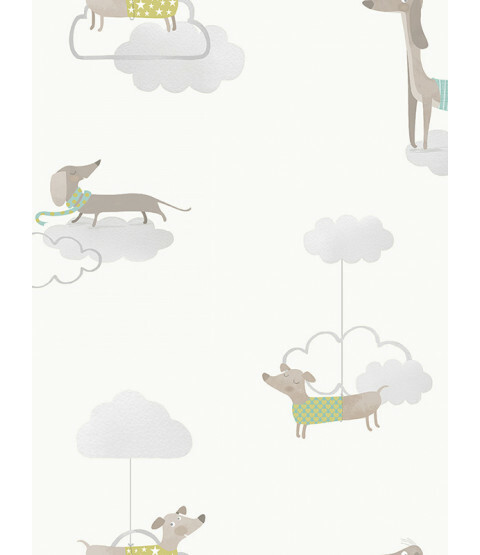 The colourful design features an array of adorable dachshunds wearing cute jumpers and scarves, set amongst soft grey clouds on a white background. 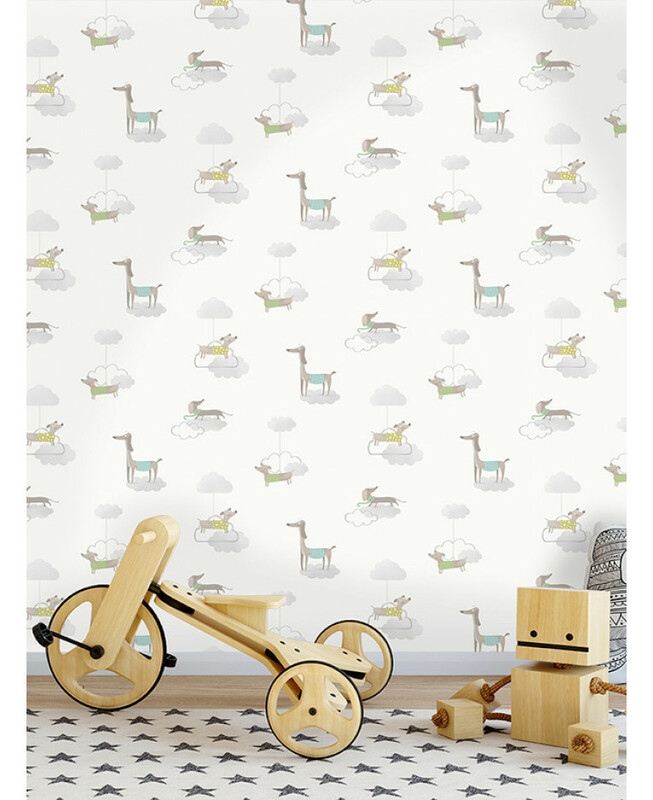 Easy to apply, this high quality wallpaper has a matte finish and would look great when used to create a feature wall or to decorate an entire room.